Manufacturer of a wide range of products which include electronic pump distance checking gauge, poka-yoke gauging system and electronic caliper gauge. We are offering Electronic Pump Distance Checking Gauge to our client. 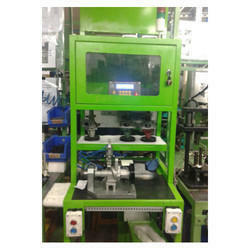 We are offering Poka-yoke Gauging System to our client. CAST OD checked first, sensor sense the BUSH fitting & then only Cycle Start. After Cycle Start Pulley Groove Distance & Runout displayed on LCD Display. 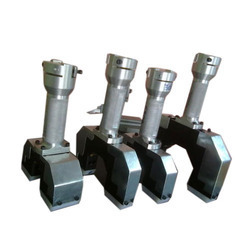 If both the parameter is OK Pneumatic OK Punch cylinder punch the Component. IF any one parameter is not within the limit Tower Lamp with Buzzer sounds. Place the comp in rejected bin sensed by Sensor if not placed next Cycle will not start. 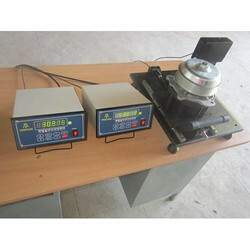 We are offering Electronic Calliper Gauge to our client.